Leading online betting firm SportPesa has canceled its sponsorship with Football Kenya Federation effective December 31, 2017. The move has been necessitated by the recently introduced Finance Bill 2017 which raised the tax rate on betting, lotteries and gaming activities to 35 percent, a decision SportPesa challenged in court and lost. “We refer to our letter of June 2017. Our attempt to have the imposition of 35 percent tax reversed by the government has been unsuccessful,” said a letter, sent to FKF president Nick Mwendwa by SportPesa CEO Captain Ronald Karauri. “As earlier informed, please note that all contracts between us shall stand terminated on December 31, 2017,” continued the letter. FKF president Nick Mwendwa has termed the development a blow to Kenyan Football, coming at a time when the sport was beginning to blossom following years of mismanagement, rampant corruption and lack of corporate goodwill. “It’s a big blow to football development and sports in general, owing to the fact that SportPesa also sponsors other fields. Unfortunately, it is the position we find ourselves in, we, however, remain optimistic that a solution to the same will be reached in good time,” said Mwendwa. “We support the government’s proposal to introduce a uniform tax across board on betting, lottery, gaming, and competition industry but also feel that it is important to acknowledge the growth of sports marketing as an industry and acknowledge that worldwide the private sector plays a big role in developing sports outside what is considered national assets such as the national, youth and women’s teams. It is, therefore, our strong feeling that the implementation of the proposed National Sports, Culture, and Arts fund should not curtail the unprecedented growth and beneficial sports sponsorship drive undertaken by the betting, gaming and lottery enterprises,” explained the FKF president. “In light of the aforementioned, we are proactively engaging the government to try and reach a win-win situation for all parties involved and further discuss the best way to manage sports sponsorships” added Mr. Mwendwa. The cancelation of the sponsorship by SportPesa stands to have a huge impact on FKF’s developmental agenda as the Ksh 120 Million received annually from the betting firm has been instrumental in rolling out of key developmental activities over the last one and a half years, key amongst them the training of over 2000 grass-root coaches. In addition, the federation has in the recent past leveraged on SportPesa’s overseas partnerships to further develop the game. 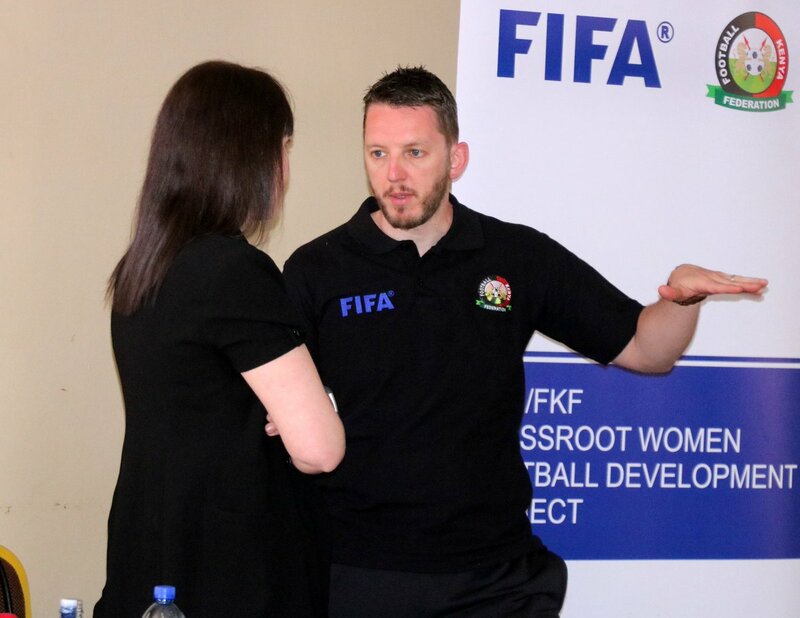 Through the Partnerships FKF and SportPesa have been able to train and provide Technical Skills Transfer to both local coaches and players by holding coaching workshops and according local players an opportunity to play against top European sides. Last year, as a result of SportPesa’s relationship with Southampton, the Kenya National U13 Team took part in the Southampton Cup for the first time ever, winning Shield in the tournament, held in the UK. The company has also played a pivotal role both in National and youth development and up until the cancelation of the FKF Sponsorship paid partial salaries for the newly appointed Harambee Stars Coach Paul Put and the full salaries of FKF Technical Director Mr. Andreas Spier. The move by the company to terminate their sponsorship contract comes a few weeks after SportPesa CEO Captain Karauri feted the team with a luncheon and a Ksh 3million token for winning the CECAFA Senior Challenge Cup.